The best thing about HTC is it’s kindness for the user to let them unlock their Smartphone’s bootloader. This allows you to install custom ROM and Kernels on you Smartphone. Basically what we want to say is unblocking the bootloader gives unrestricted access to the Smartphone. In order to get rid of some unwanted stock applications, factory restrictions, or power up its performances and to make device run faster than usual, the best way is to root the Root HTC inspire 4g at&t. This tutorial is basically for HTC inspire 4g at&t. Successful working of this procedure on any other device is still not confirmed. This tutorial’s application to any other device may produce some unwanted outcome. We are not bounded if anything happens wrong with your device after applying this procedure. So, if you want to go further then continue on your risk. Disable all security programs like firewall & antivirus on HTC inspire 4g at&t as well as on your PC. You have to install USB drivers of HTC inspire 4g at&t. 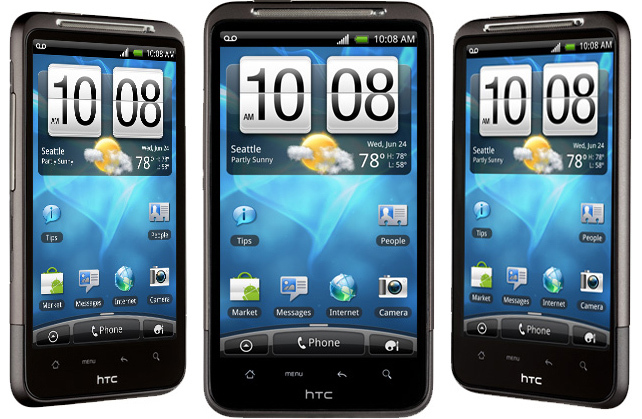 First of all you will have to downgrade the device’s current firmware to HTC Desire HD’s firmware. For downgrading, you have to create a gold card and you will also require an ABD shell which is android debug bridge. After that, extract misc_version & psneuter in same folder named ADB. There you must see ‘#’ sign not ‘$’ sign. And follow the steps shown in you device. But before that, uninstall VISIONary from your device. After extracting connect your device with PC. Copy these numbers as we need them later in this tutorial, just refer this number as md5 #1. Copy these numbers as we need them later in this tutorial, just refer this number as md5 #2. Copy these numbers as we need them later in this tutorial, just refer this number as md5 #3. If md5 #1 and md5 #3 match, then gfree 0.07 has failed to powercycle the eMMC chip on device. So try to use gfree 0.05 instead, try again. If md5 #3 not matches with md5 #1 or md5 #2, then don’t reboot just ask for help by joining channel #G2Root for further help. If md5 #2 and md5 #3 match, then everything is fine and continues. Flash CyanogenMod and to do so, download the current CynogenMOD. Copy the files in SD card of your device. And reboot your device in ClockworkMod Recovery mode by pressing volume down button and the power button. Select these options one after another. Now select CyanogenMod update.zip file in the SD card to install. Reboot your device and it should reboot into the CyanogenMod.